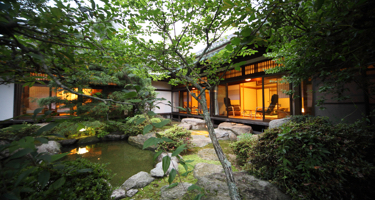 The Haginoo-en was built to be the Saga villa of Naohiro Nabeshima, the 11th head of the Nabeshima clan. Construction of the villa began in 1916 and lasted five years. 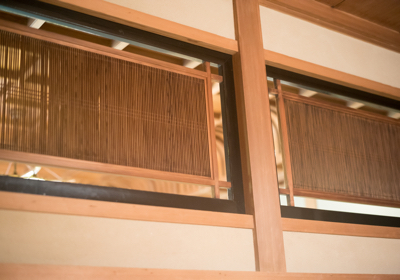 The wood used in the villa came from a forest in Kitayama, north of the city of Saga, that purveyed wood to the Nabeshima clan, so the villa’s opulence testifies to the traditions of the Nabeshima clan. The villa is a pedigreed one, since during army exercises held in the Saga area in that period, the Emperor himself paid a visit to the villa. The villa, still in its original form, was later moved as-is to the hotel’s grounds, where it remains to this day. 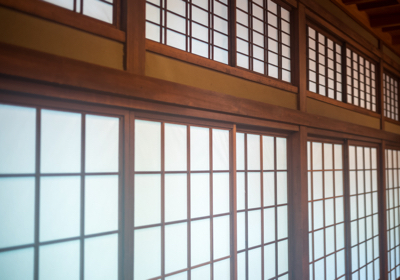 Particularly evocative of yesteryear are the Oimatsu Room, which was Naohiro’s living room, and the adjacent Shiragiku Room and Kikyo Room, which were used as living rooms by his wife. 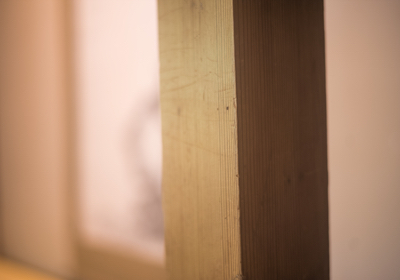 In the tumultuous days at the end of the Edo period, Nabeshima’s treasury was flush with funds owing to abundant agricultural production on his domain’s fertile lands as well as noted products such as seafood from the Ariake Sea and pottery. He turned his domain into one of the most militarily powerful domains in Japan, with Saga becoming the first domain to purchase a warship. Backed by the soldiers of Saga Domain, who were among the best-armed in Japan at the time, he found an outlet for his abilities in the Boshin War when — under orders from the imperial court — he dispatched Saga Domain troops to Ueno and the Tohoku Front, where he had them play a major part in the hostilities. Among his actions during the war was the taking into custody of the Yokohama Shipyard (then under French control), which he had the Domain’s soldiers defend.